I've been in a "black & white mood" lately, so for those of you who love b&w, this is your post! But not to be left out, there is one color image at the bottom. All beautiful in their own way. I see this as an elegantly simple image. See how the sweep of this clematis and it's stem looks like half of a heart? Which reminded me of those heart necklaces that are split in half — one to keep and one to share with a loved one. This image is beautiful, soft, classic, and romantic. It's Sentimental Serenade. For a short time I thought about keeping it in color. Just a hint of green in the original image. And the little flowers are white. I'll often convert an image quickly to b&w to see if I prefer it that way, and this time I definitely did! While I'm not an overly romantic, mushy person, this just reminded of romance, maybe a bride's bouquet. Or just a beautiful gift for your sweetie. This is another b&w film image I'm introducing to you today. My friend's beautiful flowers around her home are wonderful inspiration for me. This climbing clematis reaches up and out wherever it's planted. It's much taller than I am! Poppies are my "bucket list" flowers. One day I'd like to go to California and photograph a sea of poppies that are blooming in an open field. However, this summer I was very happy to find another friend who has a few beautiful tall poppies in her flower garden. Wisp of a Poppy is all about the tender, paper-like petal taking center stage; leaving the rest of the flower to be an abstract supporting actor. And for those interested, the painterly look of this photograph is created not with software, but with a lens. Sometimes I think there's magic inside that lens. :) You can find several photographs in my portfolio where I used this lens, as there is a very distinctive look. In keeping with the overall black and white theme I have going on today, here's another film image from the same "session" as Your Half of My Heart and Reaching Out. 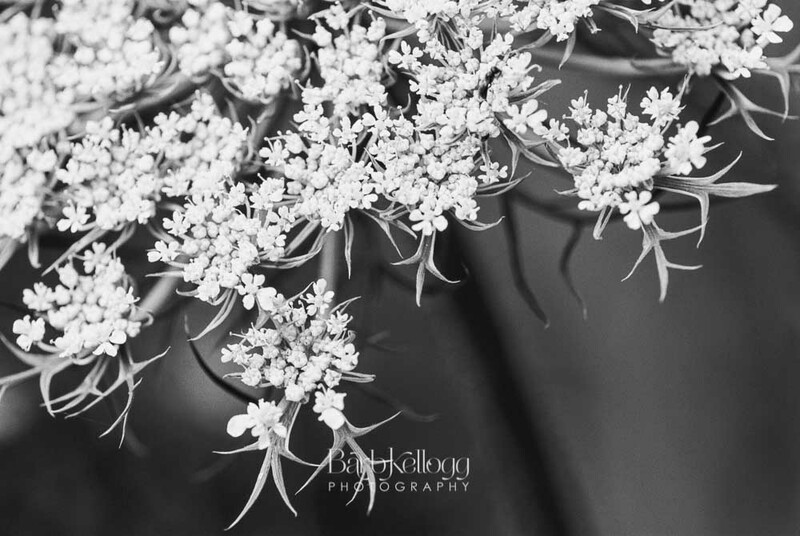 I've always thought Queen Anne's Lace was such a beautiful flower. 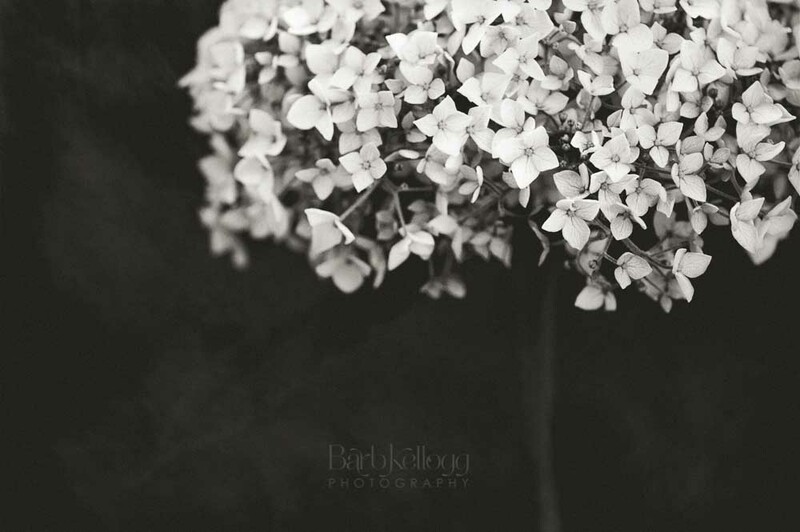 Hundreds of little flowers accent a wonderful structure of stems to create one larger flower head. Have you ever looked at them from beneath? They're beautiful from that perspective, too! And finally, a little color. This is one of those images that sat in my archives for years. I stumbled across it recently looking for a different image and wondered why I had never shared it with you!? An old path through a field of heather in Holland. Makes you wonder where it will lead you to? I hope you loved seeing all these new images! Black and white images are perfect for any decor (no worries about clashing colors) and are timeless. If you saw something you'd like, you can shop right now.